We’ve have made a small batch of t-shirts for The Uptights! They’re available in Dollar Green and in most sizes. Email us at the usual adress for prices and the like. 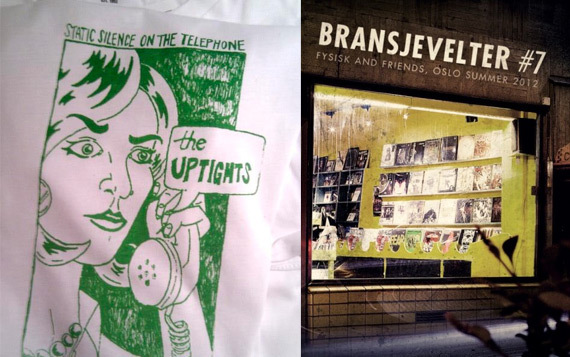 The Uptights are part of Bransjevelter compilation #7 (released by the scholars and gentlemen of Fysisk Format)! So are their friends in Dark Times, Le Corbeau and Wits End. Have a listen with Spotify or WiMP, if streaming’s your bag.